Since the announcement of its planned acquisition of cybersecurity provider Cylance, BlackBerry is reinventing itself as a security company. The company’s focus will involve the convergence of mobile, Internet of Things (IoT), and traditional enterprise endpoints. 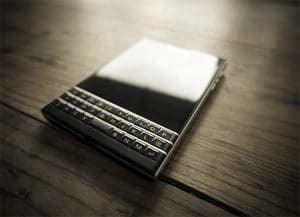 The acquisition is moving BlackBerry to develop a portfolio that includes secure messaging, hardware security, security services and advanced endpoint security. According to Forrester Research, BlackBerry’s acquisition of Cylance and Good Technology demonstrates to security vendors the importance of mobile being included in endpoint software. BlackBerry is pitted against other tech companies like Amazon, Google, Microsoft and Oracle who have entered the cybersecurity ring. This competition is providing consumers with innovative and new methods to avoid cyber attackers and mitigate cyber threats.